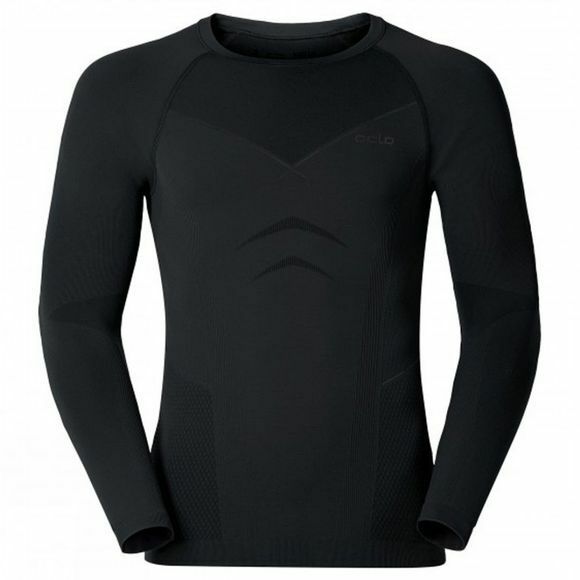 Raise your game in colder weather with this Evolution Warm base layer shirt that combines the comfort of a seam-free, body-hugging fit with perfect personal climate control. Seamless knit technology features body mapped functional zones that deliver optimal moisture management and ventilation exactly where it's needed most, keeping you warm and dry no matter how hard you're working. The Effect by Odlo silver-based antibacterial fabric treatment banishes body odour to keep you smelling fresh for longer, while the ultra-stretchable fabric means zero restrictions on your mobility.